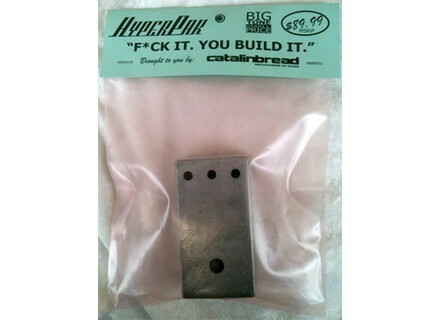 HyperPak, Fuzz pedal from Catalinbread. 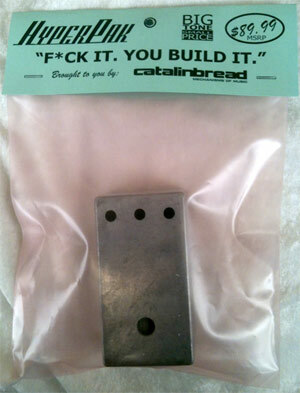 Catalinbread has begun selling two pedal kits: the HyperPak and V8 Fuzztone Generator. The kits are called "F*ck It. You Build It." and include all of the necessary components. The HyperPak was inspired by the Anderton Tube Sound Fuzz and uses a CD4007 chip. The V8 Fuzztone Generator was an evolution of the HyperPak designed to be "fuzzy and bass heavy that self osciallated in a cool way." Both kits include a thru-hole plated circuit board and are available for $59.95 through the end of January. Normal MSRP is $89.95. [NAMM] New Godin Guitar Models Montreal based Godin Guitars is getting ready for the introduction of a number of guitars at this year’s Winter NAMM show. [NAMM] Ampeg GVT Series Ampeg's GVT Series tube guitar amplifiers will make their first appearance at Winter NAMM 2012. New Guild USA Standard Series Models Guild has announced the addition of new models to the Standard Series line.